Mehdi Jomaa interview: Tunisia’s interim prime minister is trying to build a democracy. 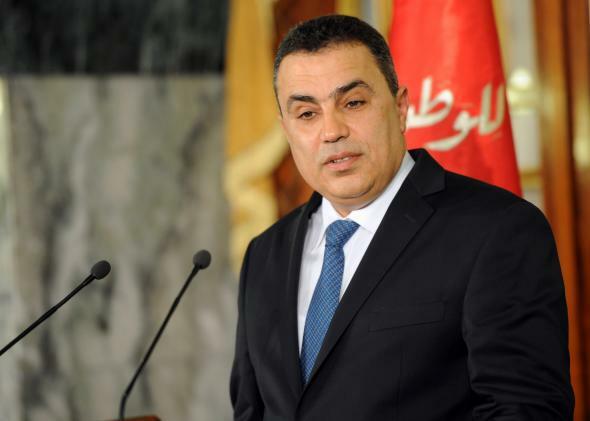 An interview with Tunisia’s interim prime minister, Mehdi Jomaa. Tunisian Prime Minister Mehdi Jomaa looks to take the nation in a more secular, business-friendly direction. What is the purpose of your trip to Washington? We have many objectives. The first is to strengthen our relationship with the United States. We have always had a good relationship with Washington and appreciated the support given by the United States since the revolution. We think it is time now to elevate this relationship to a higher level. We will also speak about security. We face the same threats, so we have a common interest to collaborate on security. Today Tunisia and the United States have common threats from extremist groups? In the last three years, we were exposed to some terrorist attacks. … We realize we have to deal with this new phenomenon. The United States is one of our best allies in facing terrorism. Are you talking about Ansar al-Sharia or al-Qaida in the Islamic Maghreb? They are linked. We discovered that the weapons and financing of Ansar al-Sharia were coming from Libya. Do you have a problem at the border with Libya where weapons are coming into your country? That’s why we have to enforce the protection of our borders. That is one of the things we can work with the United States on. What will you ask the United States to do for Tunisia regarding security assistance? In intelligence, we have to increase our cooperation. We would like to get some equipment and training to make our boundary protection more efficient. Today, three years after the revolution, we are at the end of a political transition period, and we have to start the economic transition. And that is really a big problem, isn’t it? It is a big problem. We have to make some reforms in the economy. It is one of the things we will discuss with President Obama. We are looking for more investment and for support for the budget. We have a good political relationship [with the United States], and we are looking to build a long-term economic relationship. Aren’t you here to ask for loan guarantees and economic assistance from the United States? Because you have a deficit? Yes, we have a deficit. We were in this transition period, and there was social pressure on the state to create jobs for people. It was not possible to create enough jobs for the people who created the revolution. … The revolution was made by young people. And youth unemployment is at? The International Monetary Fund will require reforms and austerity measures in order to give you the package you need. We know we need reforms, and we are determined to do that. Tunisia subsidizes gas for everyone in the country, right—rich and poor alike? One of the main reforms that we have to undergo is about subsidies. It is not for the IMF—it is for us. Will you try to convince the people and the politicians that you should cut subsidies? I said to the people that we need to restructure and reform subsidies. … For example, for gas and electricity, we took measures so that the more you consume, the more you pay. Poor people don’t consume as much as rich people. We are preparing for another wave of restructuring of energy subsidies. … We have to be careful because the idea is to progress but not to break. Are you aiming to create a more market-based economy? The big trend for Tunisia is to encourage all private initiatives. Will you cut the public sector? We already decided to stop hiring people in the public sector. We must now encourage private initiatives, even in creating jobs. We will improve the investment environment for local and foreign investors. Tourism cannot be flourishing now? It is picking up. Tunisia is safer now. … We are recovering, and the aim is to do better than what we were doing before the revolution. Is one of your objectives to bring about elections this year? It is my priority. My job is to support and finalize this last step of the transition with transparent and fair elections. … We have an independent electoral commission which will set the date for the elections. We will do our best to have elections before the end of the year. When I was in Tunisia in December, everyone said the political parties could not come to an agreement on an interim prime minister. How did your appointment come about? I had been living in France for 24 years working for an international company. When I was asked [in early 2013] to come to Tunisia to become minister of industry, I left my family and promised them I would not be in Tunisia for more than 11 months. But when they chose me [as prime minister], I could not refuse. Because you were a minister in the [Islamist] Ennahda government, some say that you are sympathetic to Ennahda. Is that true? I have sympathy for all the parties right now because I need all of them. Do you have support from the political parties to make the reforms you want to undertake? No. It is under discussion. But it wasn’t discussed before you took the job? Reforms? No. I took the job and got an idea of what to do. Then I presented it to them. I told them we have a problem, and we need some sacrifice. Former President Ben Ali benefited his friends. Some say there has been no change and that the system is still in place. Is that correct? In the past few years, we didn’t progress a lot on the reforms. The economy was forgotten. The economic model was not good, and we have to change it. One of the most important difficulties is the imbalance between the inland and the coast. We have to push inland development more. We want to push new technologies. We are also looking for a free-trade agreement with the United States. Will you run in the next election? Let me do my job now. Give me the time to succeed. What about corruption in Tunisia? It is reduced, and everyone in Tunisia knows that he cannot escape the law if he goes to corruption. But we need some time to say we cleaned the system. How do you think Tunisia will come out in the struggle of secular vs. nonsecular? I think the majority voted for a secular system. Is Tunisia the only Arab country that survived the Arab Spring? We hope to be one of the best countries practicing democracy. Do you think in one year you can achieve real reforms? Yes, we have already started. We will not finish them this year because reforms take time, but we have to start. But you’ve been in the business world. We have tested the political guys. Now we are testing the business guys.